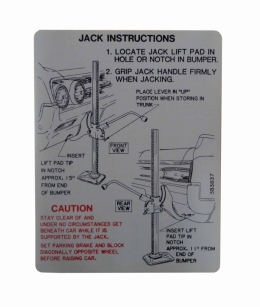 Jack instructions decal - in trunk. Typically found on underside of trunk lid. Replaces original GM part #383837. Top quality GM licensed reproduction. Sold individually. MADE IN THE USA.